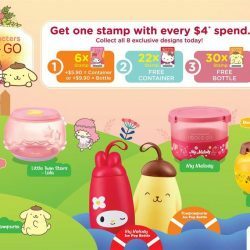 Till 18 Dec 2018 7-Eleven: Collect the New Sanrio Lock & Go Containers and Bottle Characters Before They Are Gone! Ta-da! These cuties are up for adoption! 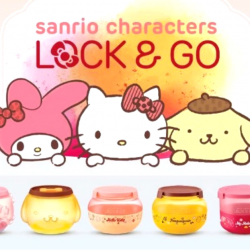 Collect the new Sanrio Lock & Go Containers and Bottle Characters before they are gone! Get your first stamp with just $4 spent in any 7-Eleven store! Note that you can't select the character you want cuz they are randomly packed. 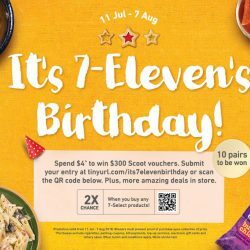 Till 11 Aug 2018 7-Eleven: Birthday Deals + FREE Lava Cake for Fellow July Babies! To celebrate their birthday on 11/7, they are giving away FREE LAVA CAKE to fellow July babies! Limited to the first 50 per store, so don't miss out. Just head on over to the selected stores below and show them your IC card to redeem! Also don't miss their crazy deals and 1-for-1 Giant Slurpee! 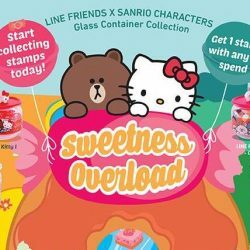 7-Eleven's Sanrio characters x LINE FRIENDS glass containers are finally in town! Starting Wednesday, 18 April, pop into any of 7-Eleven stores to snag a stamp with every $4 you spend! Collect your stamps on the handy stamp cards to exchange 20 stamps for a free container or buy a container for $6.90 with 6 stamps! 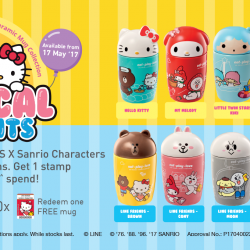 Till 10 Jul 2017 7-Eleven: Collect all 10 LINE FRIENDS X Sanrio Characters Ceramic Mug Designs! Collect all 10 LINE FRIENDS X Sanrio Characters Ceramic Mug designs. Get 1 stamp with every $4^ spent! 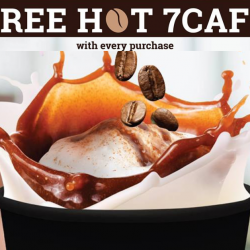 Collect 6 stamps to purchase a mug for $6.90, or collect 20 stamps to redeem one for free. Get a stamp card from the store cashier to begin. What are you waiting for? Get a stamp card from the cashier at any 7-Eleven store island-wide to start collecting your stamps today! From 9 Dec 2016, 7am while stocks last 7-Eleven: Exclusive Hello Kitty EZ-Charms at $24.90 Each! 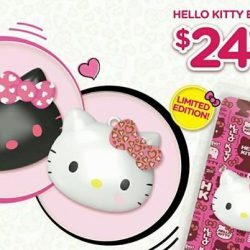 The Hello Kitty EZ-Charms that were snapped up in a short time previously are making a comeback! Dun miss your chance this time to get one! It will make a great gift for that friend who loves Hello Kitty too! Available at selected 7-Eleven stores at $24.90 each from 9 December 2016, 7am. Available in 2 designs. Fresh drops on our latest CRAZY DEALS! 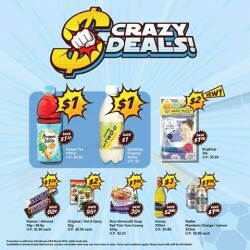 With a fresh new rebrand look, and even crazier prices, go CRAZY in stores with some of these items at just $1! It can’t get any better than this. 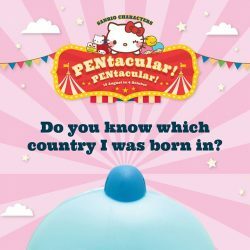 Hi Sanrio fans, do you need extra stamps to complete your Sanrio PENtacular collection? Simply purchase any of the items below and receive an EXTRA STAMP. Hurry before it’s too late! 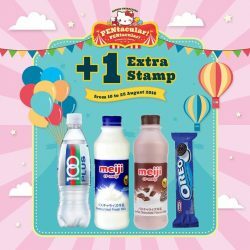 Items are: 100PLUS regular, YEO’s coconut water, MEIJI Plain & Meiji Milk Chocolate and OREO original. Promo ends 23 Aug 2016. Save the date and spend this Sat 20 Aug with us! We bring to you the exclusive Sanrio PENtacular Collection Roadshow! 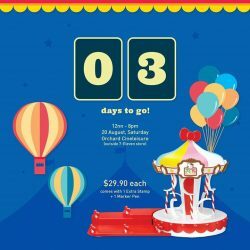 Just on this day, you will be able to purchase the carousel at $29.90 and receive 1 x free Marker. On top of that, we will also give you 10 stamps instead of 9 to complete your collection! Fans of Hello Kitty and other Sanrio characters, here's another collectible series for you! 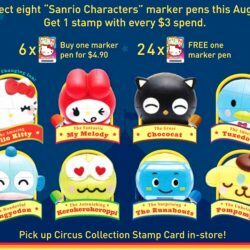 7-Eleven is launching the Sanrio PENtacular Collection, a series of marker pens with Sanrio characters like Hello Kitty, My Melody, Chococat, Pompompurin and more starting from today. 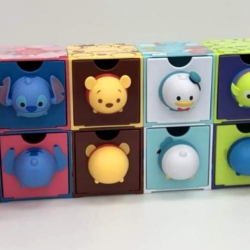 Collect all eight now! Promotion will end on 4 October 2016. Do you know who I am and where I’m from? 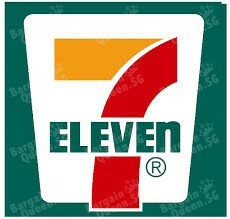 Save the date: 10 Aug as we exclusively launch in all #7ElevenSG stores! Sharing a slurpee for that brainfreeze fix has always been a fond childhood memory! 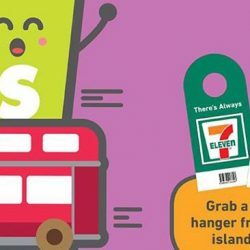 To celebrate their new brand promise to all of you, 7-11 is hanging thousands of free LARGE SLURPEE coupons across hundreds of buses island-wide from today! Look out for it and grab one today! 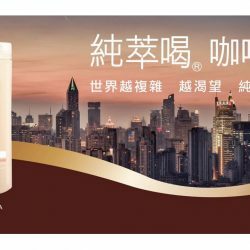 7-Eleven: Taiwan’s Popular Milk Tea / Latte Chun Cui He 純萃喝 has been restocked! For those who haven't gotten one yet, here's your chance now! 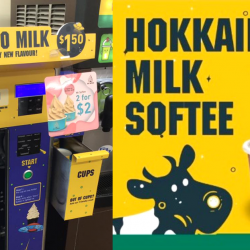 Chun Cui He 純萃喝 's Milk Tea and Latte will be available progressively at all‪ 7-Eleven‬ stores from today, while stocks last. Now each person is limited to purchasing only 6 bottles at one time, so more people will have the chance to try! We are celebrating #7ElevenDaySG these 3 days! 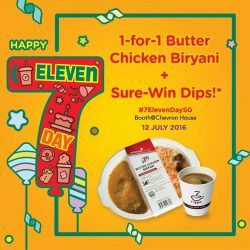 Pop by Chevron House on Tue 12 Jul and enjoy 1-for-1 Ready To Eat Butter Chicken Biryani and you are in for a chance at our sure win lucky dips! 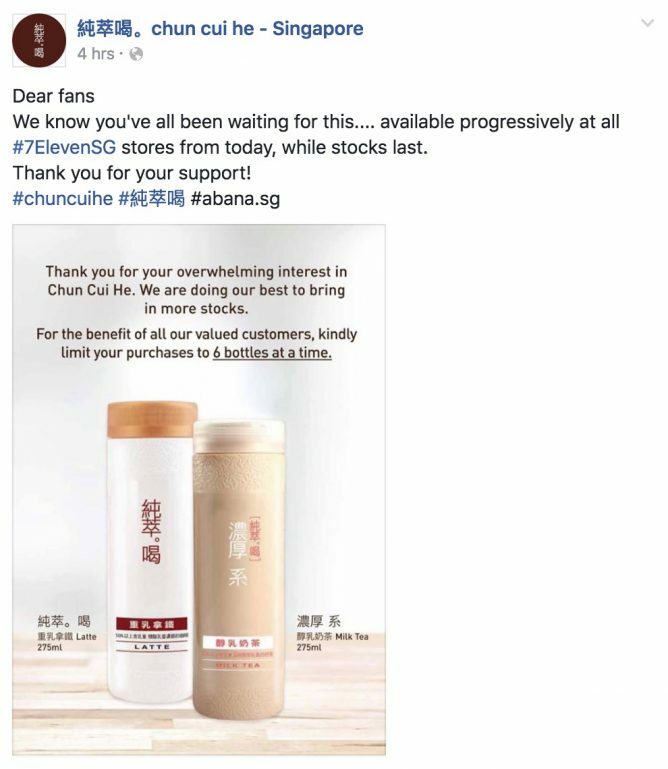 From 13 Jul 2016 7-Eleven: Taiwan’s Most Popular Milk Tea / Latte Chun Cui He (純萃喝) is launching in Singapore! Tomorrow we celebrate #7ElevenDaySG! 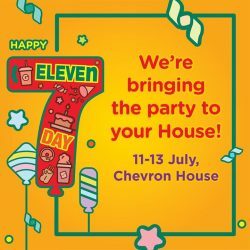 Pop by Chevron House from 11-13 Jul for free breakfasts, one-for-one deals, sure-win dips, food tasting, vouchers and more coming straight to your doorstep! 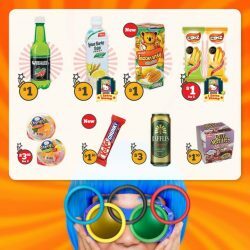 It’s that time of the month again to reveal our NEW CRAZY DEALS! Going at amazing prices, grab and go and enjoy huge discounts now! It’s that time again for a refresher on our CRAZY DEALS! 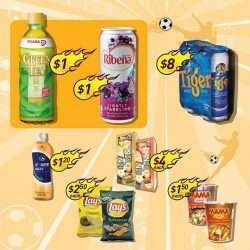 Check out what’s on sale and hop on over to our #7ElevenSG stores to grab your favourite items! Valid till 31 May. 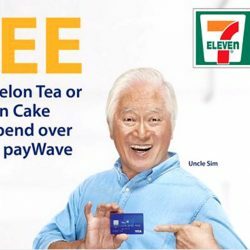 Spend more than $6 in a single receipt and pay with Visa payWave to get a FREE Pokka Ice Melon Tea (500ml) or Baumkuchen Cake (chocolate flavour). Free item is while stocks last. Not valid at Shell and non-participating stores. Promotion is valid till 5 June 2016. It’s the time of the week again for their Crazy Deals! Something just for you for as they all need a little something special as the weekend's here too! Available at all 7-Eleven stores. 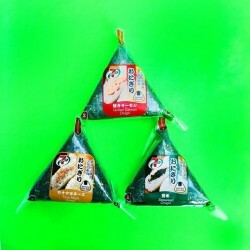 Enjoy and choose from 3 ONIGIRI flavors- SEAWEED, SALMON and MAYO TUNA, for Buy 2 for $3 only. It's been constantly sold out and flying OFF shelves, so don't say we aren't giving you first dibs Available at all 7Eleven outlets. Starting from today and while stocks last only. 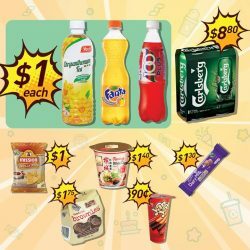 7-Eleven: Slurpees this School Holidays @20% OFF. Enjoy for an Slurpees at 7-Eleven Calling All Students. Get 20% OFF when you flash your student card at their outlet. Chill out with our Slurpees this school holidays. Grab for amazing discount.